Yesterday, esteemed boxing journalist Thomas Hauser released a thorough investigation on the United States Anti-Doping Agency (USADA) and boxing’s anti-doping policy. The piece centers on Floyd Mayweather and the questionable use of an intravenous vitamin injection before his bout against Manny Pacquiao. While the bout has long passed, and news of the IV usage most likely well publicized, the investigative details Hauser uncovers are not. The IV used in Mayweather’s case did not occur at a hospital or any sort of registered medical facility, but at the fighter’s own home. Rehydration also does not fall under those exceptions. What a fighter can do for recourse in this circumstance is apply for a retroactive therapeutic use exemption, or a TUE, to have the treatment without violation of the rules. Mayweather applied for and was granted a TUE by the USADA, both on unknown dates. What is problematic in this instance is that the IV usage wasn’t reported to the Nevada State Athletic Commission or the Pacquiao camp until May 21st, 18 days after the fight. Legalese in the contract somehow allowed that all to happen. “You know my urine was dark, extremely dark, darker than normal. 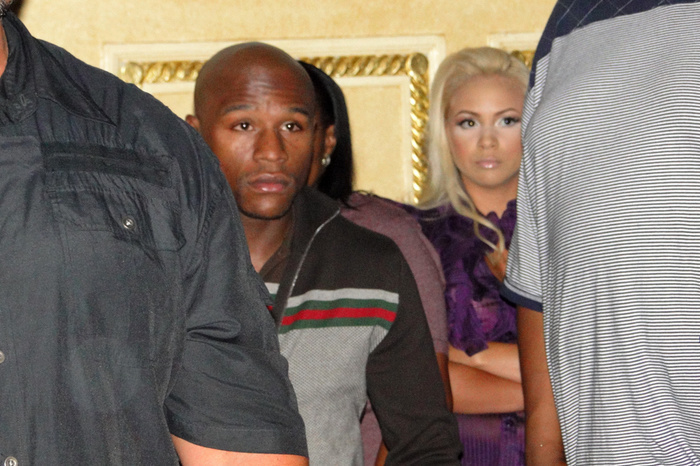 That could be from overworking, extremely dark,” Mayweather said. Advisor and Mayweather Promotions CEO Leonard Ellerbe then chimed in. In other words, their response isn’t too promising. The reason IV usage is banned by WADA is because it can be used to mask or delay detection of banned substances, the most notable example being that of Lance Armstrong and his continued usage of the steroid Erythropoietin (EPO). It was determined that’s Armstrong’s ability to go undetected were done through a variety a methods, including intravenous injection of saline, plasma or glycerol infusions. This was actually a point of contention made by USADA CEO Travis Tygart when he gave an interview on the MMA Hour to legitimize the ban on IV rehydration in the UFC, a mandate set to take effect on Oct 1st of this year. "What's important to remember is the WADA list is the list of prohibited substances. So, those are what most people consider the drugs, the performance enhancing drugs, but it's also the prohibited substance and methods. And there are certain methods, like an IV infusion that you just mentioned, or gene doping or autologous or homologous blood transfusion, where you take someone else's blood in advance of a bout and it gives you oxygen carrying capacity and recovery capacity and all sorts of benefits. It would be, by the way, game changing benefits. The question now is, why would USADA be so adamant on banning the use of an IV in the UFC, but not the night of boxing’s biggest bout? One reason could be because the USADA relies on funding from independent parties. In the past it’s worked with Richard Schaefer of Golden Boy promotions, and most recently boxing manager Al Haymon, which is also Mayweather’s advisor. According to Hauser’s article, the USADA received an up-front payment of $150,000 to do the testing for Mayweather vs. Pacquiao. The Hauser piece goes through further detail in the matter and other questionable discoveries surrounding Mayweather’s career (you should really read the piece), but perhaps an equally important question is if and how this will affect USADA’s move into the UFC. Since the UFC is in itself its own promotional entity, and the entire structure of boxing is foundationally different from that of MMA, perhaps this won’t be as much of an issue. But when it comes to creating a fair competitive combat arena, and the safety of the fighters inside of it, it’s a matter worth taking a second look.